Have you lost touch with listening to your body and understanding what it is trying to tell you? This is a common problem for most of us now in a society with dependence on conventional medicine to solve our health problems. Unfortunately, our health care system is geared toward treating our symptoms with a quick fix or prescription drug without getting to the root cause of those problems in the first place. We have completely turned our minds off and placed all our hope and trust in our doctors to solve our health problems. We have lost our ability to tune in and listen to what our body is trying to tell us. Grab a FREE copy of my Daily Tracker to help you learn to start listening to your body to guide you to better health and wellbeing. Our body is actually speaking loud and clear to us in the form of symptoms, but we just tune these messages out and press forward in our busy lives until our symptoms get in the way of our ability to function and keep up with the demands of our daily life. It is at this point that we turn to our doctors and we expect the quickest possible solution to getting us back on the fast track of living. Sadly, these solutions don’t really solve our body’s deepest needs, they only put a Band Aid on the problem. And on top of that, most of these solutions lead us on to a slippery slope of declining health due to the side-effects and health consequences of these medications. 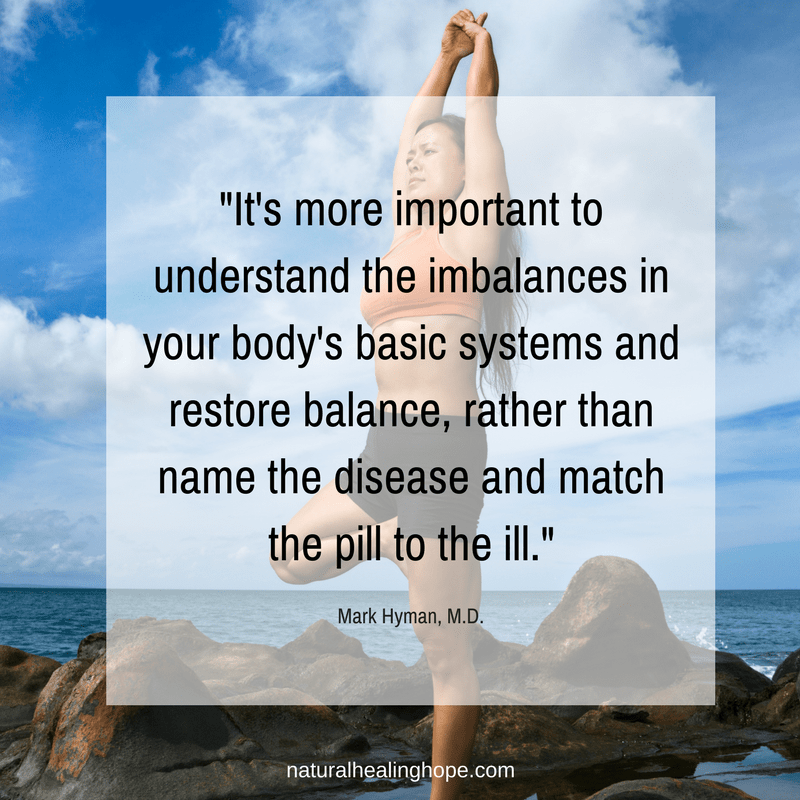 If you are in a place where you are suffering from the consequences of this vicious cycle of declining health, it is probably a good time to learn how to tune in and start listening to your body. The best way to get started is by journaling or tracking your symptoms and everything related to your health, including your diet, exercise, sleep, water intake, bowel movements, mood and of course all of your daily symptoms. Think of symptoms like warning lights on your vehicle. You wouldn’t want to ignore them or disable them. You would want to get to the root of the problem, right? Otherwise, you might ruin your car. Well, my friend, we are only given one body in this life and it is our most precious gift. It is irreplaceable. We can’t mess around and take this gift for granted. We need to make it a priority to do everything we can to support our body with everything it needs. Surprisingly, when you start tuning in and listening to your body, it will tell you what it needs. It will also tell you what things it doesn’t like. You can save thousands of dollars on medical tests by just tuning in. You can learn so much by tracking this information and making adjustments to see what helps improve your symptoms and what doesn’t. Whether you are working with your regular doctor, a holistic doctor or whether you are trying to solve your health problems yourself, using a daily tracker like this one can seriously help. You can get a copy of this daily tracker as well as other tracking tools in my Resource Library. Learn how below and at the bottom of this post. Take this information with you to doctors appointments. Use this information to come up with a list of questions for your doctors. Learn to advocate for yourself. You know your body better than anyone else. Don’t accept quick fixes that mask your symptoms without getting to the root of your problems. Use this information to start doing your own research for natural health solutions. Make changes only one at a time and then listen to your body and document everything you learn. Don’t make more than one change per week. Don’t try every solution all at once, otherwise, you won’t know what it is that is making a difference or making you worse. Ask God to help you listen and learn from your body and that he would guide you on a path toward healing. Pray in faith that God, who created you, will heal you. Give thanks for the gift of your incredibly amazing body that sustains you and it’s ability to heal. Be patient with your healing journey. It can take time. You will get there. Don’t lose hope. I spent over two years helping my daughter overcome severe physical and mental health problems that robbed her of many years of her young life. The key to helping us find solutions for her health problems was largely due to tracking all of her symptoms and everything related to her physical and mental health in notebooks. These notes were invaluable in helping us and her doctors to navigate a path toward healing for her. It also helped her to learn how to tune in and listen to her own body. Now she is so in tune with her body that she makes healthy choices all on her own. Most 21-year-olds don’t have this skill. She is now completely restored to good health and vitality and is able to experience things in life she never thought possible before. You can read more about our story and why I started Natural Healing Hope here. After learning all that I did in helping my daughter through her natural health journey, I started applying everything to my own health issues. I started using this daily tracking form this year to help me get to the bottom of my joint pain. I suspected it was due to inflammation. So I tried eliminating things from my diet one thing at a time and tracked my symptoms. I eventually came to the conclusion that I needed to give up sugar, gluten, and dairy. It wasn’t easy to give these things up but as I tracked everything and could see the correlation between my diet and my symptoms and even my moods, I could clearly see my problem areas. I didn’t have to spend thousands of dollars on fancy testing to figure out what I needed to do. And with this knowledge, it was so much easier to give these things up. I like to feel good so it isn’t worth it to eat the things that make me feel bad. Grab a copy of my Daily Tracker to help you start listening to your body to guide you. God created our bodies with everything we need to survive and thrive along with an amazing warning system to help us recognize what we need to do to support it. We just need to tune in and listen. What about you? Are you discouraged by physical or mental health problems that are keeping you from experiencing an abundant life? I encourage you to start tracking everything in a journal or daily tracker. You will be surprised by how much you will learn about your body. It will help guide you on your path to restored health and wellbeing. 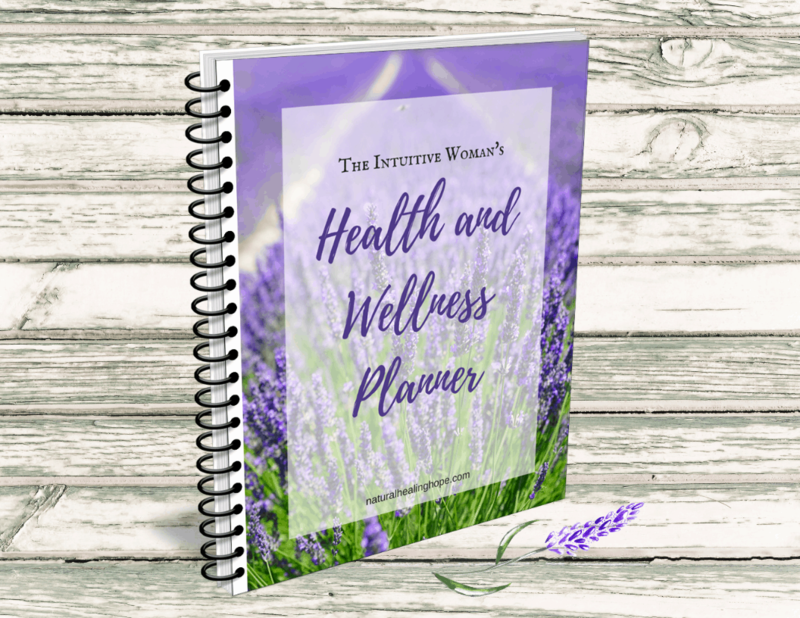 I created an entire Health and Wellness Planner that includes the Daily Tracker plus many other tracking forms to help you organize and navigate your natural health journey. Click the image below to learn more about what’s included. If you subscribe to my blog, you can get my Daily Tracker for FREE and access to my whole Resource Library full of resources and tools that can help. Fill out the form below and you’ll also get a special offer to get my entire Health and Wellness Planner at a special discount. As a subscriber, you will also be invited to our private Natural Healing Hope Community so you can get ongoing support and encouragement as you navigate your path toward better health and wellbeing. If you found this post helpful, please pin it to your favorite Pinterest Board to reference later. If you know someone that can benefit from this information, please share it with them. Sharing is caring. 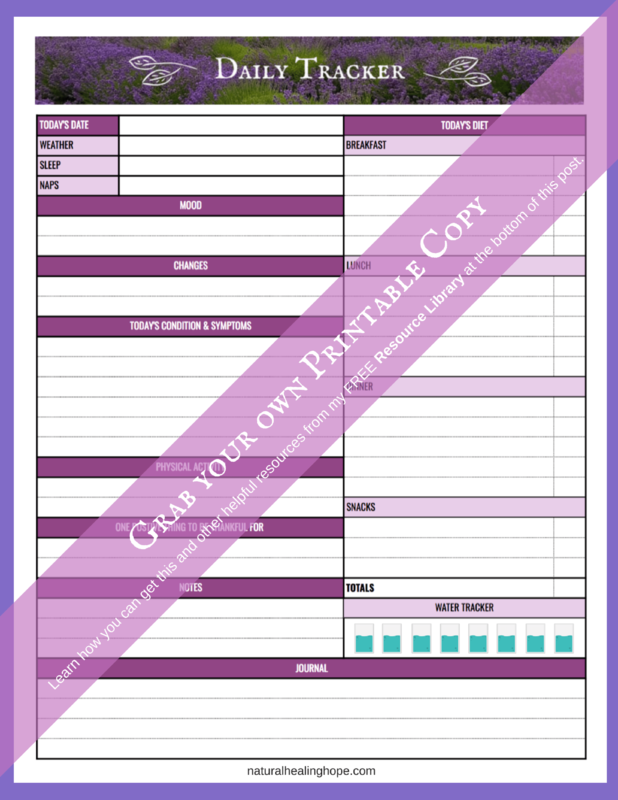 Subscribe to receive a printable copy of my "DAILY TRACKER" to keep track of all your health habits and help you learn to listen to your body. You'll also receive access to my password protected RESOURCE LIBRARY full of tools to help you in your natural health journey. I love this! I was one of those people who thought the doctor knew everything. I was only a young person when I started having health problems, so I thought I didn’t know much and doctors had been to medical school. I figured they had a test for everything. Now, I realize that doctors do have their areas of expertise, and I do consult doctors. However, I am the expert on me. I trust myself more now, and I do track things and make many health decisions on my own. Of course, I always make sure I am well versed in what I am treating. There are certain issues that I would get to a doctor as soon as I could! I often feel that God leads me to things that I can work on myself. Thank you for sharing this! Kristie, Thanks for sharing your experience with this. 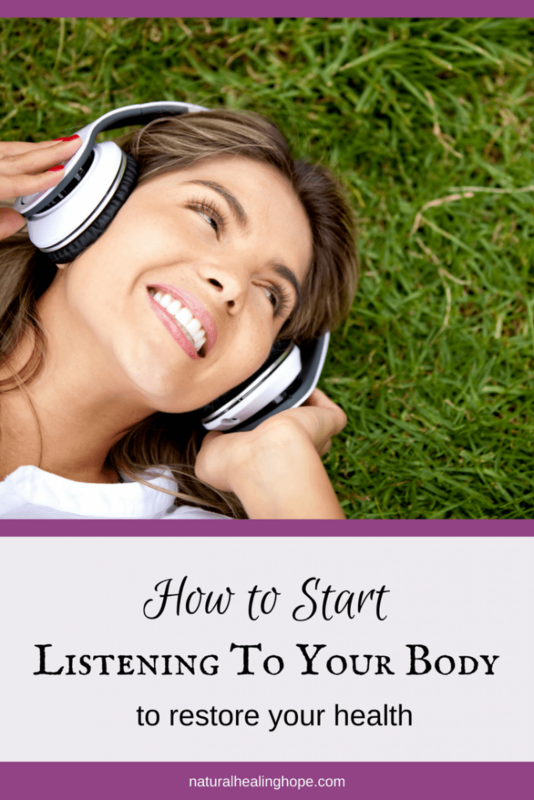 It is great that you discovered how to listen to your body at a young age and advocate for your own health. You are right and I love how you say that you are the expert on you. Right on!